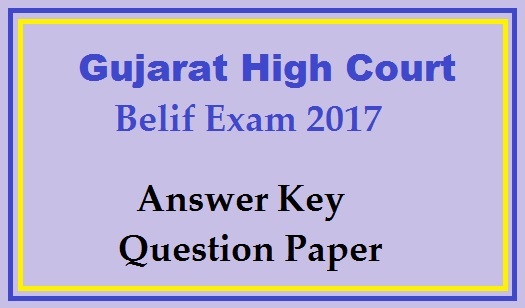 Here We are Provided High Court Baillff Exam Question Paper Set 1, Set 2, Set 3, Set 4 with Paper Series A, B, C, D, So Candidates Can check their answers who will appear in Gujarat High Court Bailiff Exam 2017. 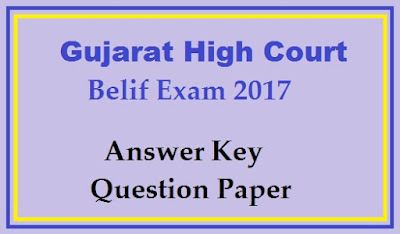 After High Court of Gujarat Bailiff exam Paper, HC Ojas Online Job Application System Published Provision Answer key & Result Declared, Candidates can check Gujarat High Court Bailiff Exam 2017 Expected Cutoff Marks, Merit Marks, Selection List, Waiting List all information available here, So All Candidates Please stay with us ojas bharti and follow our facebook page “ojas government job” information by official hc-ojas.guj.nic. Examination Type :- Written Examination MCQ Base. All Eligible Candidates who were given Gujarat High Court examination they can Download High Court Bailiff/ Process Server Answerkey 2017 from the official website at hc-ojas.guj.nic.in in Pdf file link mention below.